The Bay Area continues to be a popular stop along the campaign trail as Election Day draws near. Democratic vice presidential candidate Tim Kaine will attend a fundraiser in San Francisco on Wednesday night. 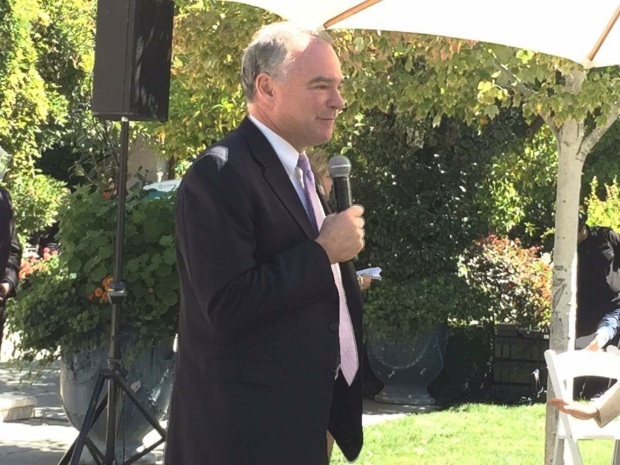 Earlier in the day, Hillary Clinton’s running mate attended a roundtable at the Atherton home of Democratic National Committee operative Steve Spinner, who also is an adviser to congressional candidate Ro Khanna. To enter the event, people shelled out $1,000, $2,700 and even $5,400, if they wanted a photograph with the guest of honor. Hosts, meanwhile, paid a whopping $33,400. 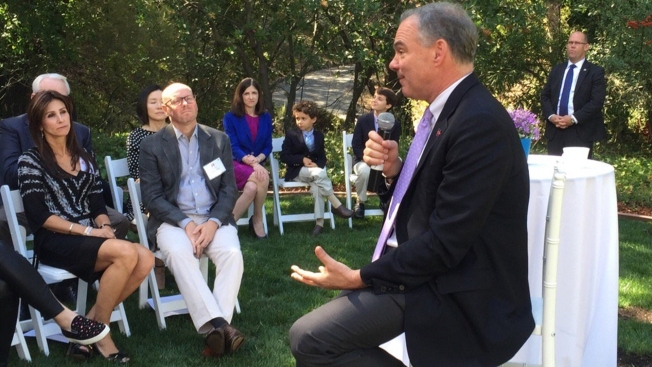 Kaine also had lunch at the Atherton home of literary agent-turned-venture capitalist Jillian Manus. The event was co-hosted by Meg Whitman, the chief executive of Hewlett-Packard Enterprise and a staunch Republican, who shocked many this summer by endorsing Clinton. “It was a way for Tim Kaine to be introduced to a lot of people in the area who are not necessary Democrats,” Anna Santermo said. In fact, almost everyone NBC Bay Area spoke to outside the Democratic fundraiser identified as a Republican. "I’m a Republican, been a Republican my whole life and I’m all in for Hillary," said Atherton's Mayor Elizabeth Lewis. For some, the choice is an obvious one. But others attended Friday’s event seeking some clarity in the lead up to Nov. 8. Kaine reportedly spoke for about 30 minutes before answering questions about himself and Clinton. Attendees said his overall message was clear – to move past political affiliations and get things done. Wednesday evening's fundraiser is being hosted by Ali Pincus, the co-founder of One Kings Lane, and Mark Pincus, who co-founded Zynga. Young professionals under the age of 35 had the option of buying $45 tickets, but for others, the highest price option was $15,000. The event is sold out.